Six Sigma Winery was inaugurated on September 28th, 2005, when we processed our first grapes, a beautiful vintage of Tempranillo harvested in Christian’s Diamond Mine Vineyard. We focus on small lot, high quality wines, and every aspect of our winery reflects that, from state-of-the-art equipment to gentle handling and meticulous hand-sorting of the grapes, ensuring that only the best fruit is used in each of our wines. We have one simple goal in mind for producing our wines: To share the story of the season, the place, and the people who made them. 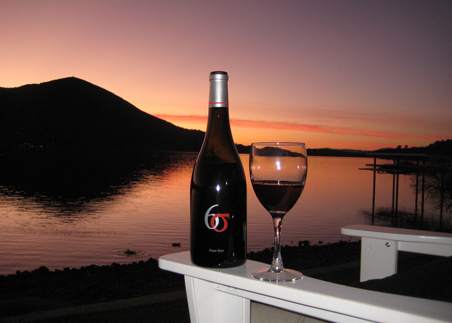 Our story is in every single bottle of Six Sigma wine. 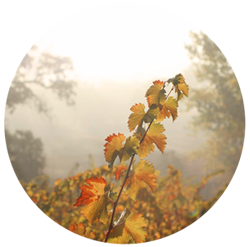 We take a natural approach to winemaking as well as farming. Working with Six Sigma methods allows us to take a hands-off philosophy, as we only manage the parameters that are critical to the quality of our wines. We know, for example, that if we carefully control the time and temperature of our fermentations, then unnatural additives to our wines are unnecessary. We transport the grapes from the vineyards to the winery using small lugs, so we avoid the bruising and breaking of the skins that can occur in larger harvest bins. The incoming grapes are unloaded on a sorting belt, where we cull clusters that don’t meet the winemaker’s specifications. 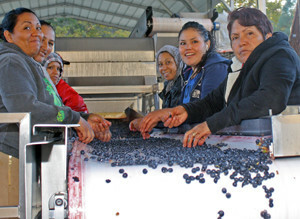 After sorting, we remove the grape stems in a de-stemmer, and the individual berries are meticulously inspected and sorted on a second sorting belt by a team of half a dozen winery workers. After this final sorting, the grapes are transferred to a stainless steel tank for fermentation. Fermentation takes place under close supervision of the winemaking team, and the temperature of each tank is carefully controlled with heating or cooling as necessary. With this precision, we can fine-tune the style of each wine, showing off its best attributes. While our white wines are aged in stainless steel tanks after the fermentation, ours reds are transferred to age in French oak barrels in our small wine cave. Built into a hillside, the cave naturally keeps the wines at an optimal temperature and humidity, allowing them to develop fantastic aromas and mouth-filling texture. We have additional space for barrel storage in an underground barrel cellar that will serve as the foundation for our new hospitality center. 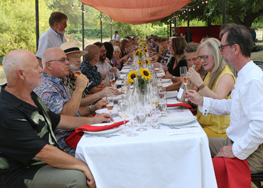 Do you want an up-close look at the winemaking process at Six Sigma Ranch? Check our Visit page for more information about tours of the winery and cave, which include an exclusive barrel tasting of our wines.